Dave and Andrea were another one of our brave couples that were willing to bare the cold and take advantage of the beautiful lighting and how quiet the city is at sunrise. 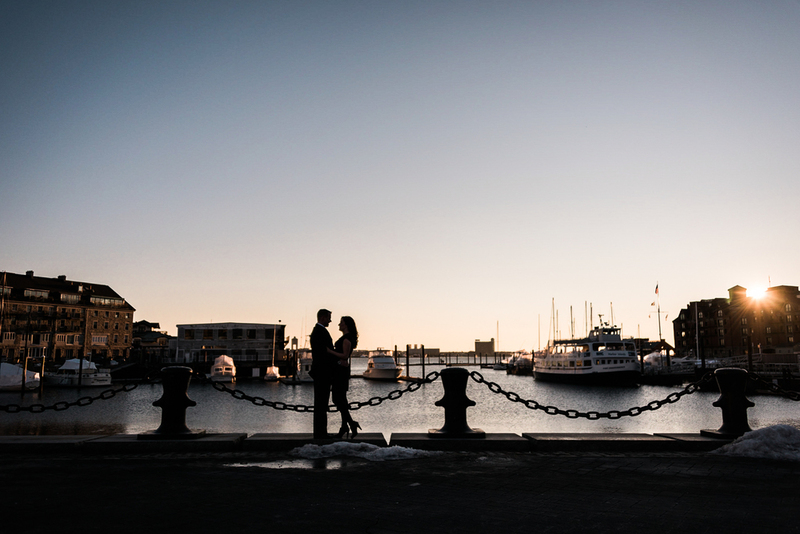 When they were thinking of the look they wanted for their Boston engagement session, they decided on a "quiet, old city feel" and I think this was the perfect execution! When asking their story, I was completely moved by their proposal story the most! Dave had picked up the engagement ring, and as I assume it goes with most grooms, he was thinking of the perfect way to pop the question. Although, that isn't what happened....Dave was so excited he couldn't wait! He drove straight to Andrea's office and popped the question there!!! I love that he couldn't wait any longer to be engaged to the woman of his dreams!!! They are looking forward to their fall wedding, this October at Gedney Farms in New Marlborough, MA. We agree that the colors in the Berkshires are going to be unbelievable! We can't wait to make more beautiful pictures with you both on your wedding day!